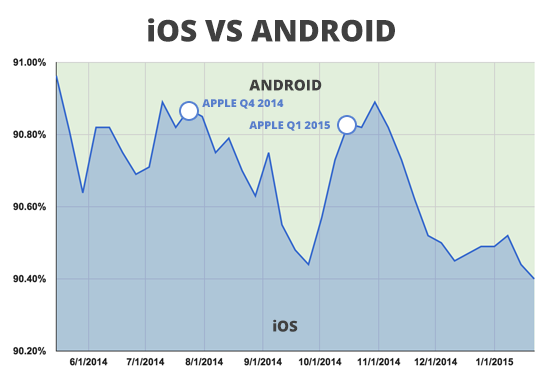 Apple lost 0.03 percent to Android this week in the mobile device war among pMD's physician charge capture users. Rumors are circling around the Apple Watch and its uncertain battery life, hinting that the battery doesn't hold up to expectations. Software delays have pushed back the Apple Watch launch date from late 2014 to spring 2015.